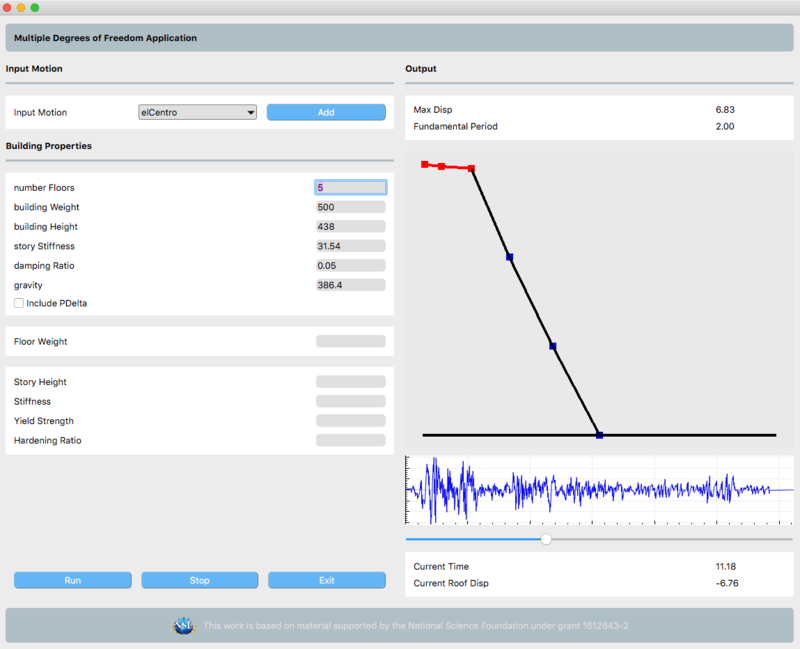 This educational application allows the user to explore the effects of different building parameters on the time-varying response of a building under earthquake, wind, or other transient loads. The building is represented by a shear building model: an idealization of a structure in which the mass is lumped at the floor levels and the beams are assumed infinitely stiff in flexure and axially inextensible, and the columns are axially inextensible. The user inputs the floor weights and story properties (stiffness, yield strength, hardening ratio) of the stories, and a damping ratio for the structure. The user selects from a series of included ground motion acceleration records, or user provided motions. 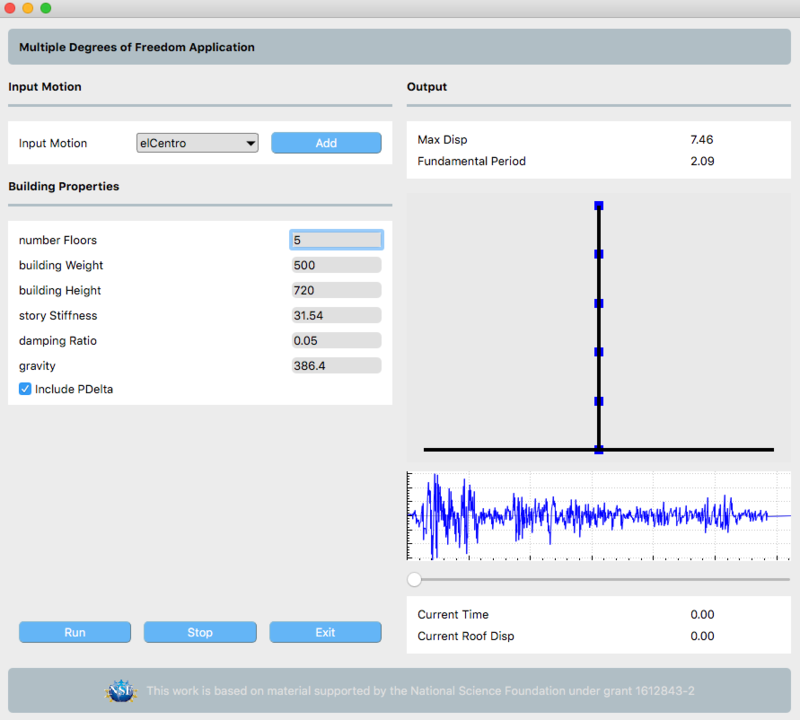 The user can quickly explore the effect of changing weight, height, and stiffness on the tine history response. In addition nonlinear effects due to P-Delta and soft story mechanisms can be studied. For this application the equations of motions are set up using the uniform excitation approach, i.e. MA + CV + KU = -MAg. A consequence of this approach is that the floor displacements solved for are relative displacements. These equations are solved using the Newmark constant acceleration method and Newton-Raphson solution algorithm. Allow user to look at all periods of structure. For reference material on all the above please review “Dynamics of Structures”, by A.K. Chopra.